Call 864-999-1934 to speak with a sleep specialist. The 2019 Delevan 2 Euro Top Plush mattress offers a one-two punch with Serta's Cool Action™ Gel Memory Foam and premium 886 Custom Support® Firm Individually Wrapped Coil System. This mattress also combines a layer of Serta® Comfort XD™ Foam for the perfect combination of cushioning comfort and enhanced support. Shop this mattress at your local Mattress By Appointment and save 50-80% off retail pricing! Normal Body Impressions/Sagging: less than 1-1/2"
• DO rotate your mattress as needed, this will promote even wear. • DO use an appropriate frame with center support on Queen and King size sets to ensure validation of your warranty. • DO let your new sleep set “air” upon removal from its plastic packaging. Discard the plastic wrapping on your mattress as soon as possible; a child or pet can become entangled and suffocate. • DO keep your bedding clean and use a mattress protector. Stains, soiling, fluid penetration or other signs of abuse may invalidate the warranty and make your bedding ineligible for repair or replacement. • DO replace the foundation when purchasing a new mattress to provide the proper support for your new mattress. • DO carry your mattress upright on its side. It is easier to handle and less likely to damage the mattress. If you need to store your mattress for an extended period of time, store it flat. • DO promptly dispose of old mattresses to avoid a fire hazard. • DON’T remove the law tag at the end of your mattress as this has the identification needed to establish your warranty rights. • DON’T bend excessively or jump on your mattress under any circumstances. Such treatment may damage the mattress or boxspring. Normal use on an adjustable base is permitted with an adjustable approved mattress. • DON’T use cleaning fluids on your mattress. The chemicals may damage some of the materials. • DON’T allow your mattress to get wet. Any liquids, water or other fluids may damage upholstery causing materials to compress. Serta recommends that you protect your mattress from water and other liquids with a water proof mattress pad. PLEASE BE ADVISED: YOUR NEW MATTRESS IS NOT FIRE-PROOF. Your new mattress meets fire safety standards issued by the U.S. Consumer Product Safety Commission when used by itself or with a foundation specified on the federal law tag attached to the mattress. Compared to older mattresses, your new mattress will, if ignited, burn more slowly and less intensely, giving you more time to escape. • DON’T smoke in bed. This is a common cause of fatal fires. • DO keep matches and lighters away from children. • DON’T use candles on or around your bed. • DO keep space heaters away from your bed or other flammable items. Follow all manufacturer’s instructions and warnings. • DON’T run electrical cords under your bed or trap them against a wall. Avoid placing lamps where they can fall on the bed. To facilitate any future customer service or warranty inquiries, please keep a copy of this warranty card, all tags on your bedding and the sales receipt from your Serta dealer. Congratulations on your new Serta sleep set. Our goal is to provide the highest product quality and durability, assuring you of the most comfortable and healthful night’s sleep. This promise is backed by our Serta Quality Assurance Program, one of the most stringent and rigorously enforced product quality programs in the home furnishings industry. Through the Serta Quality Assurance Program, you can feel confident that your Serta sleep set will provide you with the long-lasting comfort and support you expect. Because we strongly believe in the quality, design and craftsmanship of our products, Serta products are warrantied against manufacturing defects in workmanship and material (excluding covers and handles, except for handles on iSeries and equivalent level mattresses). For zippered mattress covers refer to the All Foam Mattress section within the Warranty Coverage Detail section. If you observe a defect, contact the Serta dealer from which you purchased the set. If the dealer cannot be reached, please contact Serta Customer Support at 888-55-SERTA. In either case, you must, within the duration of the warranty, provide the original law tags, proof of purchase (including date of purchase) and be the original purchasing consumer. If defective in workmanship or material, your Serta mattress and/or foundation will be repaired or replaced (at our option) with charges, as shown on the Serta Warranty Schedule and exclusive of transportation and inspection costs. If the Serta product you purchased is discontinued at the time of repair or replacement, a current model of comparable quality and value will be selected. All other claims including incidental or consequential damages are precluded. If identical materials are not available at the time of repair or replacement, the manufacturer reserves the right to substitute materials of comparable quality. Any and all implied warranties on this product shall not exceed in duration the term of this limited warranty. This warranty begins on the day you purchase your sleep set. If your sleep set is repaired or replaced, this limited warranty will not be renewed or extended. Please refer to the Serta Warranty Schedule on this card to determine the length of your warranty. For previous warranty brochures visit the customer care section at www.serta.com. Some states do not allow the exclusion or limitation of incidental or consequential damages or limitations on how long an implied warranty lasts, so the above limitation or exclusion may not apply. This warranty gives you specific legal rights. You may also have other rights, which vary from state to state. 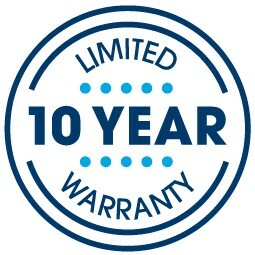 This warranty is extended only to the original purchaser from Serta or its authorized dealers. Please refer to the Do’s and Don’ts of Bedding Care section of this brochure for proper sleep set care to insure warranty coverage. • Wires that are loose, broken or protruding through fabric. • Sagging or Body impressions that measure 1½" or greater, only if the mattress has been continuously supported by a matching foundation (or equivalent) and used with an appropriate frame with center support or a minimum of 5 cross slats with center support that extends to the floor. A Serta adjustable base may be used with an adjustable approved mattress. • Handles on all iSeries and equivalent level mattresses. • Sagging or Body impressions that measure ¾" or greater, only if the mattress has been continuously supported by a matching foundation (or equivalent) and used with an appropriate frame with center support or a minimum of 5 cross slats with center support that extends to the floor. A Serta adjustable base may be used. • Zippered mattress covers are warrantied for ten years after the purchase date from manufacturing defects and workmanship, flaws of the zipper or seams, and tearing of the fabric under normal use. Covers with a zipper located on the bottom of the mattress should never be removed, see tag for spot cleaning suggestions. Covers with a zipper located on the side of the mattress can be removed for cleaning, see label for cleaning suggestions. • Sagging, but only when continuously supported with an appropriate frame with a rigid center support that extends to the floor. • Bedding sold “as is”, or floor samples, or bedding purchased from second hand parties, non-retail establishments or received as a promotional item. • Normal change in softness and recovery time associated with memory foam and latex materials over time. This does not affect the pressure relieving qualities of these materials. • Body impressions in the mattress that measure less than 1½" for an innerspring mattress; less than ¾" for all smooth top (non-quilted) hybrid mattresses and All Foam model mattresses. • Sagging in the mattress that measure less than 1½" for an innerspring mattress; less than ¾" for all smooth top (non-quilted) hybrid mattresses and All Foam model mattresses. Serta reserves the right to refuse service and invalidate the warranty when the sleep set, even if defective, is in an unsanitary condition (due to blood or bodily fluid stains or soiling, infestation or other abuse), when the sleep set has evidence of damage from liquid penetration, cleaning or the use of cleaning fluids, or whenever the product failure is caused by factors other than defective workmanship or materials. Allowing the sleep set to be in an unsanitary condition may damage the product and invalidate the warranty. For the health and safety of anyone who would be required to dispose of, or otherwise handle, the sleep set, Serta may refuse to inspect such products to assess whether covered by the warranty, in which case, Serta reserves the right to deny warranty coverage. The use of cleaning fluids may damage the fabric and materials in your mattress. Allowing water or other liquids to penetrate your mattress may damage the layers of upholstery, causing materials to compress. Either of these situations may result in damage that will invalidate your warranty. 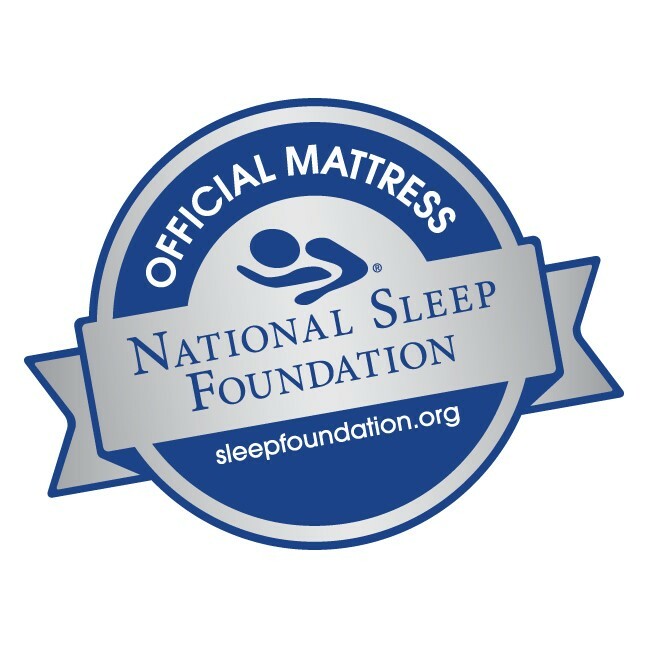 Serta reserves the right to deny warranty coverage if the sleep set exhibits stains or soiling of unknown origin or nature and it appears to Serta, in good faith, that the sleep set may be in an unsanitary condition or may have been damaged by liquid penetration or other abuse. This warranty is given by the Serta manufacturer whose name and address appear on the law tag attached to your Serta product. We recommend that you examine the law tag attached to your Serta product and record the name and address of the Serta manufacturer, and your warranty code, on this warranty card. Retain the law tags and proof of purchase to validate warranty coverage.